Show, don’t tell. If you want to garner support, your best bet isn’t to try to talk your way to prove your point. No, your route to success will usually come through a true visualization of your conclusions. A solid graphic representation will bring people to your way of thinking in a way words just can’t. Tableau 9 knows all about the power of the graphic representation. Right now, you can get schooled in one of the most powerful data analysis programs anywhere with this package of Data Visualization with Tableau Desktop 9 courses. You can get the whole lot right now for over 90 percent off — only $21 — thanks to this limited time offer from TNW Deals. Tableau 9 is renowned for its amazing way of morphing abstract raw data into useful (and often, quite beautiful) visualizations that can instantly put your business numbers into a much clearer context. In your first course Learn Tableau Desktop 9 from Scratch for Data Science, students figure out what Tableau 9 can do and start applying its stunning versatility to any number of data-driven projects. Once you’re up and running, Tableau Desktop 9 Qualified Associate Trainingadvances your training, showing you how to tame difficult or unwieldy data sets and find ways around anomalous numbers. You’ll close with some practical examples in Building Interactive Dashboards with Tableau. Here, you’ll actually build your own operational and analytical dashboards, which can be assembled to instantly display, then re-contextualize your business’ raw data under any conditions you’d like. With all this Tableau 9 training, you’ll know just how to present figures to best serve you, your conclusions, and ultimately, your company. 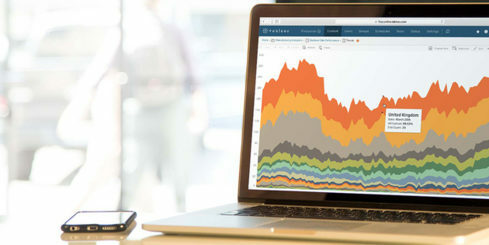 This Data Visualization with Tableau Desktop 9 training (a $235 value) is now on sale for less than the price of a reasonable lunch while this offer lasts.